Andrew is a senior manager based in the London office. 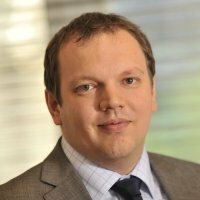 He has worked with the firm since 2004, having joined the firm following completion of a mathematics degree from Warwick University. Having become a qualified Insolvency Practitioner in 2007, Andrew’s career path evolved and he joined the growing London Financial Consulting team in 2008. He has since completed two successful secondments to high street banks, working with bank customers which were showing signs of distress. As part of his second secondment, Andrew, as lead relationship manager, dealt with a number of high profile customers which are recognised high street names. Andrew’s practical experience involves a wide range of turnaround and corporate finance assignments, including financial and commercial due diligence, valuation work, Accelerated Mergers and Acquisitions (AMAs), corporate simplifications, Independent Business Reviews (IBRs) and pre-insolvency appointment planning on behalf of lenders and key stakeholders.